We all need less content. 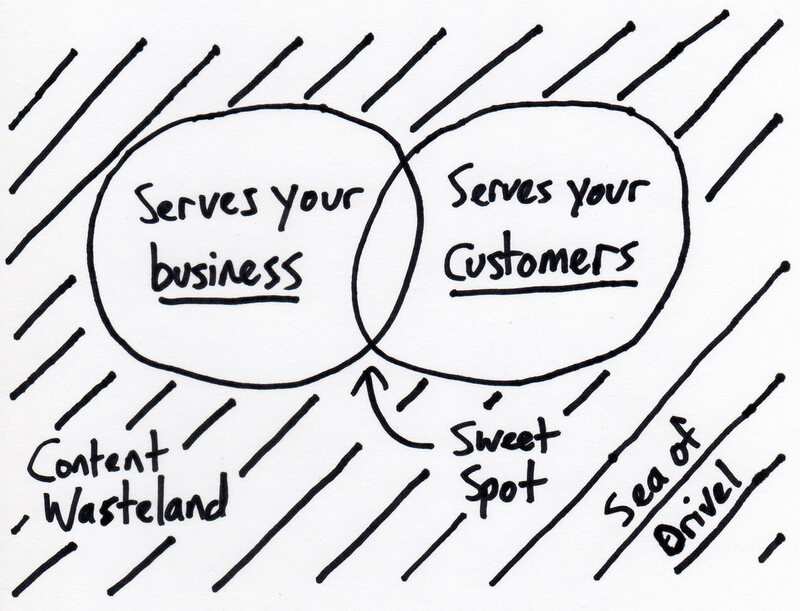 So serve your business, serve your customers, and stay out of the Content Wasteland and Sea of Drivel. Cut the crap. I hope to continue removing and minimizing, and I especially hope that you’ll join me. This entry is filed under Marketing. Tags: content, web content You can follow any responses to this entry through the RSS 2.0 feed. You can skip to the end and leave a response. Pinging is currently not allowed.